Father Paul was born on January 16, 1863 in Millington, Maryland, and baptized Lewis Thomas Wattson. He was ordained an Episcopal priest in 1886. In 1898, in collaboration with an Episcopal sister, Lurana White, the Society of the Atonement was founded at Graymoor, Garrison, NY with the mission of promoting Christian unity. In 1908, Father Paul initiated the Church Unity Octave believing that a time set aside for prayer and seminars would hasten Christian unity. An advocate of corporate reunion between the Anglican and Roman Catholic churches, he and Mother Lurana White made a decision to become Roman Catholics. In 1909, the Society of the Atonement became the first religious community of Christians to be received corporately into the Roman Catholic Church since the Reformation. Fr. Paul was ordained a Catholic priest by Archbishop John M. Farley in 1910. Among his many achievements, Fr. Paul founded St. Christopher’s Inn, a refuge for homeless men; The Lamp, a monthly magazine devoted to Christian unity and the missions; The Ave Maria Hour, a radio program that broadcasted stories about the life of Christ and the lives of the Saints ,and the Union-That-Nothing-Be-Lost, an organization founded in 1903 to disperse donations to other charitable organizations. He also co-founded the Catholic Near East Welfare Association. Today, the Franciscan Friars of the Atonement continue his work. at their first face-to-face meeting. In November 1907, the Rev. Spencer Jones, Anglican vicar of St. David’s, Moreton-in-Marsh, England, an ardent supporter of Fr. Wattson's ideas, wrote and suggested the idea of a day of prayer for Catholic unity to be observed on the Feast of Sts. Peter and Paul (June 29th). Fr. Paul wrote back about his idea of the Church Unity Octave. In 1928, the Rev. Spencer Jones wrote in a letter to Fr. Paul, “Of course, the Church Unity Octave is your child and its marvelous development and success is due entirely to yourself, under God.” However, he is often credited along with Fr. Paul Wattson as the inspiration behind the January celebration of Week of Prayer. Jones was also a noted catechetical author. Ordained in the Roman Catholic Church in 1906, Abbé Paul Couturier was a French priest who advocated Christian unity and ardently promoted early in the 1930s the idea of a Universal Week of Prayer for Christian Unity. 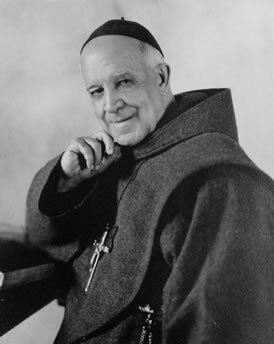 He believed that Christians should pray together “for the unity Christ wills by the means He wills.” In 1933, he introduced a Triduum (three days of prayer) for Christian Unity at Lyon. He was on the staff of the Institut des Chartreux at Lyon from 1909 until 1951. In 1952 he was given the title of honorary Archimandrite by the Melkite Patriarch of Antioch, Maximus IV.